Despite its seedy beginnings, tips are now an expectation when prompt service is provided. Employers of tipped employees are only required to pay $2.13 an hour in direct wages. For many of such workers, tips are how they are able to put a roof over their head and eat! As a result, “tips” such as advice, trinkets or mini-books with quotes are not exactly considered a true tip. There are some things to be aware of when deciding on who to tip and how much to tip. For example, if there is a “service charge” included, make sure to have someone explain what that covers. If it covers the tip or at least a portion of it, you can then adjust accordingly. Make sure to be aware of any tips included in the hotel contract as well. Be aware of tipping policies; in venues operated by city employees, like convention centers, workers may not be allowed to accept tips. Savvy meeting planners understand the importance of tipping and will actual include this as a budget line item. It’s important, therefore, to also know who to tip; like do you tip each person individually or is it best to give a tip to the manager who will then distribute this tip amongst their workers. 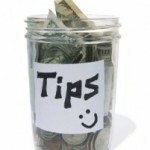 You also need to know how much to tip; here is an easy list to keep on hand. 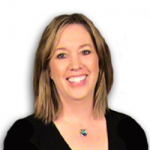 A/V manager: $75 per meeting if you utilized their equipment and they assisted you on-site. Banquet Servers: $10 – $15 per person, perhaps a bit more for the captain. Bartenders: $30-$50 per event each. Banquet Chefs: $50-$100 per event if the event included carving stations or something spectacular. Conference Service Manager: $100-$500 per entire meeting. 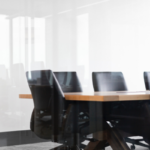 Other Managers to consider are Security, Housekeeping, and Bell Desk: $40-$60 depending on their involvement with your meeting. Reservations Manager: $50-$100 per entire meeting if they were very involved with the reservation process of your meeting. Staff: If anyone on the staff helped with set up, delivered or hauled boxes for you, consider tipping them $20 – $30. 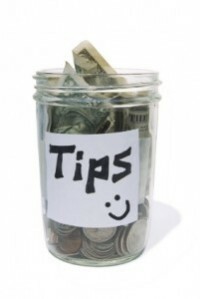 It’s a good idea to deliver your tips in envelopes and with the name of the “tip-ee” on the front. If you are not tipping someone due to poor service, be sure to talk to their manager so they are aware of any issues. And that, my friends, is how to be a Tip-ster! If you have ever tipped big time for incredible service, please share on my Facebook page! * Thanks to Arts Journal for the image!